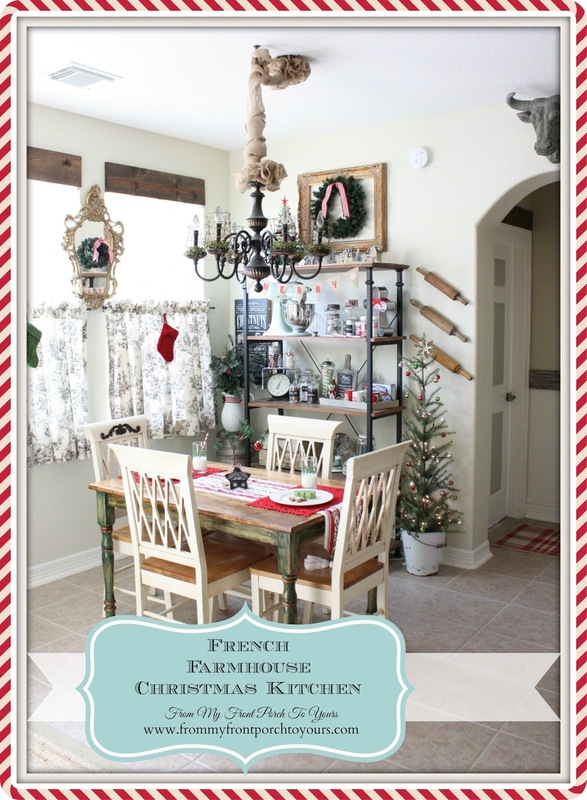 Today I am sharing the last of our Christmas home for 2014. 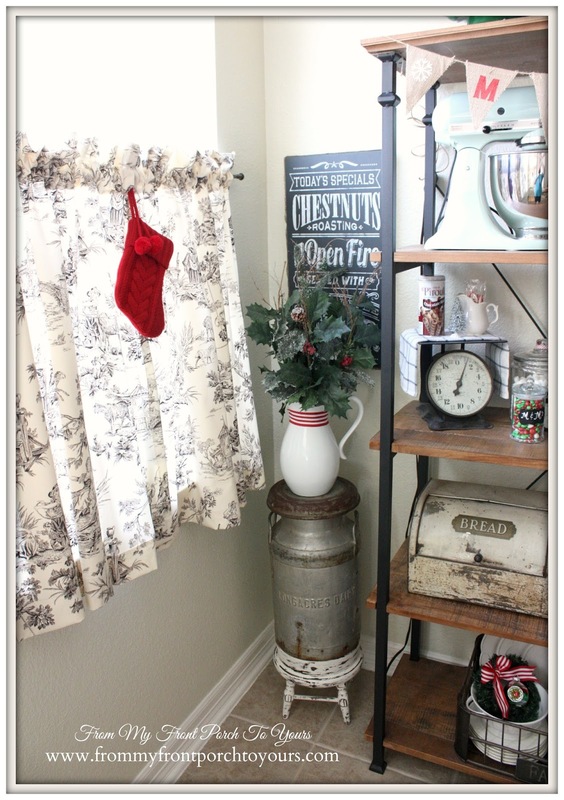 A few things staid the same from last years Christmas kitchen but there were many new additions to the space. 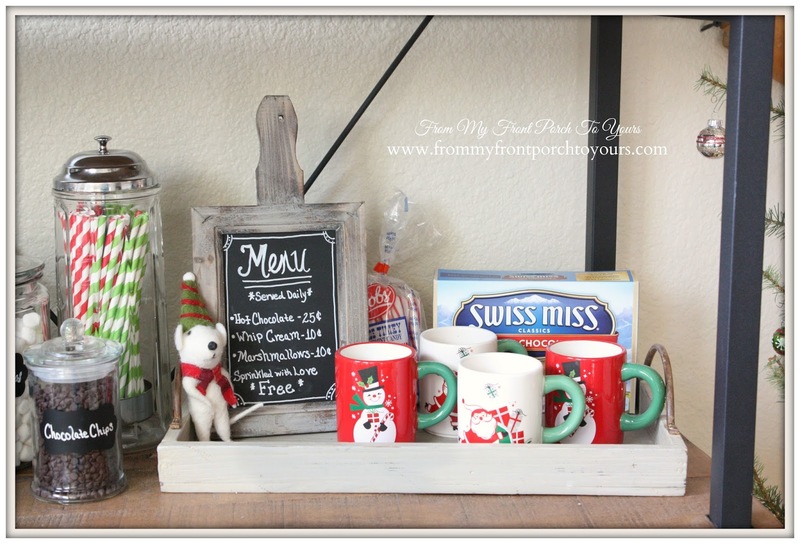 The shelving was a new addition to our breakfast nook this past year and it was quiet fun decorating it. I was excited to have a place to display my vintage ceramic Christmas tree where I could actually plug it in and see it all aglow at night. The shelving makes for the perfect baking center where I store my pistachio Kitchen Aid Mixer which I have a serious love for. The boys had a blast decorating cookies this year. 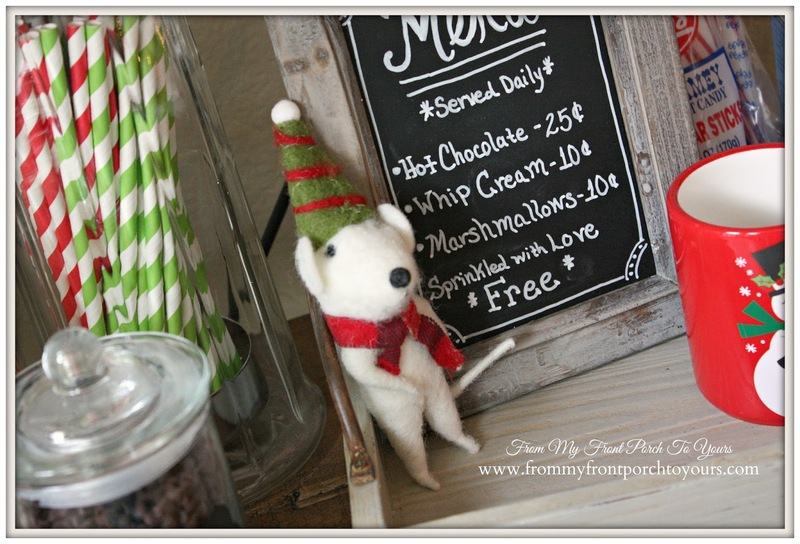 The new shelving allowed me to make the boys a hot cocoa station which they love immensely! Tinsel the Christmas mouse joined the family. I look forward to bringing him out every year. The boys picked out these adorable vintage inspired hot cocoa mugs one day when we were at Target. This tree returned to the same spot as last year. 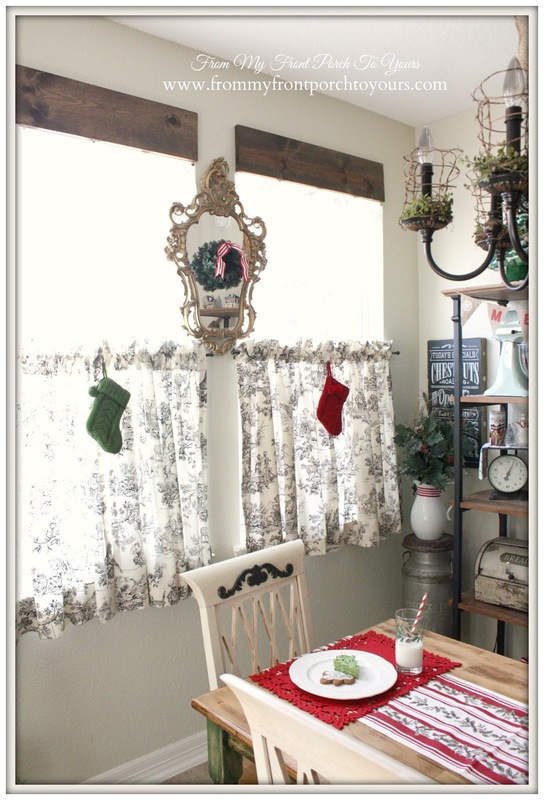 I purchased small knit Christmas stockings from Target and hung them from each cafe curtain rod. I wish I could have gotten better pic. The felt place mats I found at Kohls. 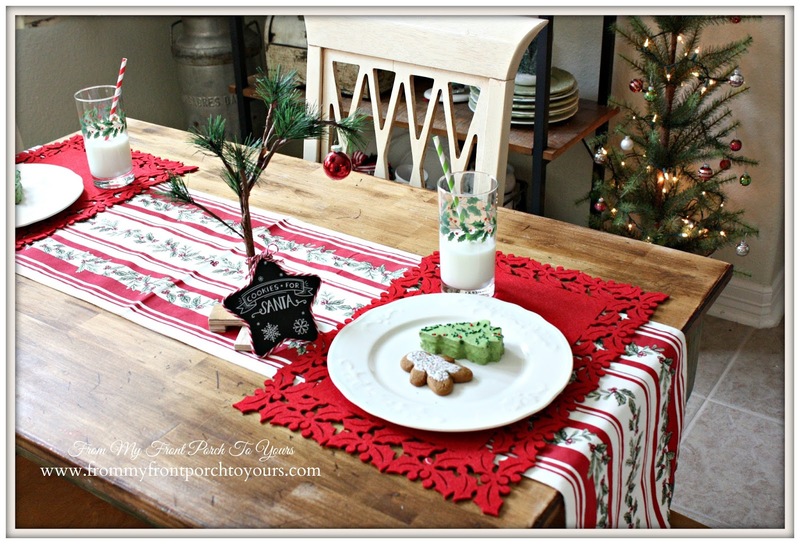 They match perfectly with the vintage inspired table runner I have used in years past. 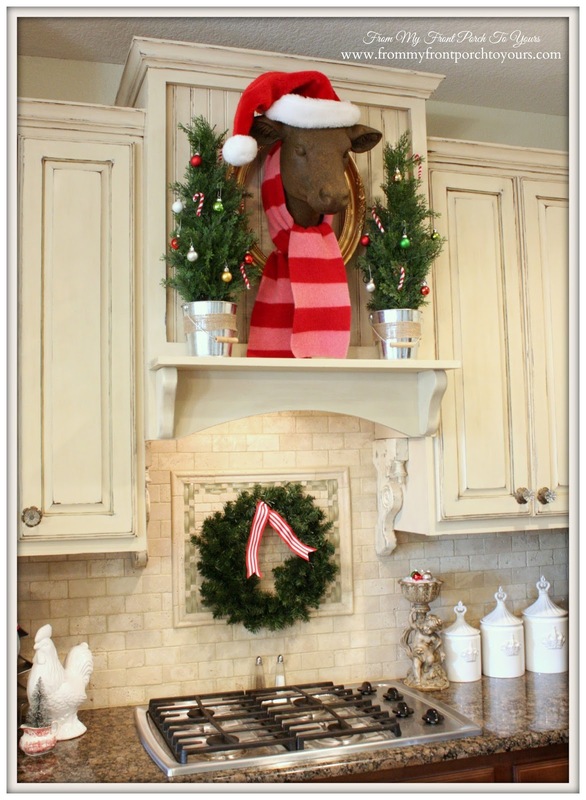 Bessie decided that she wanted to be placed above the stove so I hunted down an old wool scarf I had and for a touch of whimsy she just had to have a Santa hat as well. I hope that you enjoyed the tour today! Normally by now the Christmas is already being packed away but this year I decided we would enjoy it just a little bit longer. 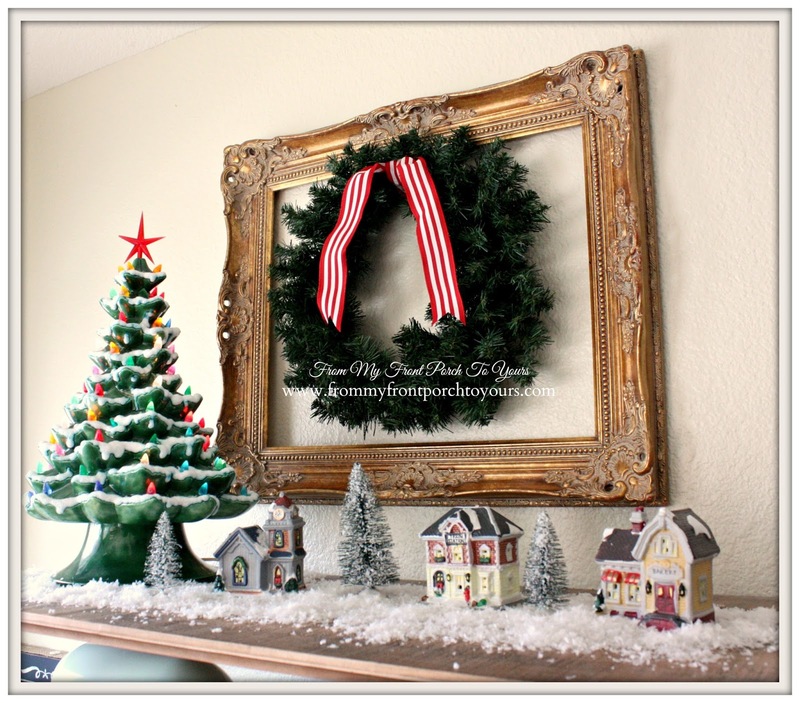 Are your holiday decorations all packed up yet? 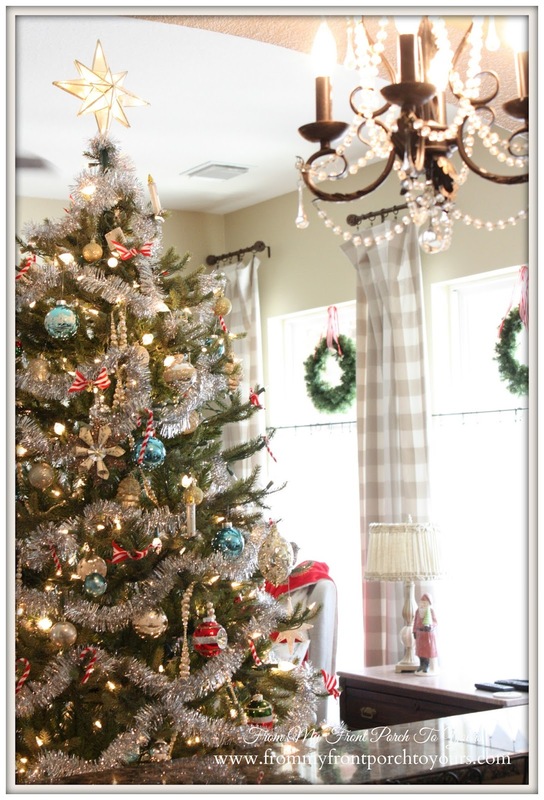 For those who may have missed any of our Christmas posts I have created a page with all of our Christmas Home Tour. I just love everything Pamela! It looks like a real kitchen with kids, and a family full of love and so festive. 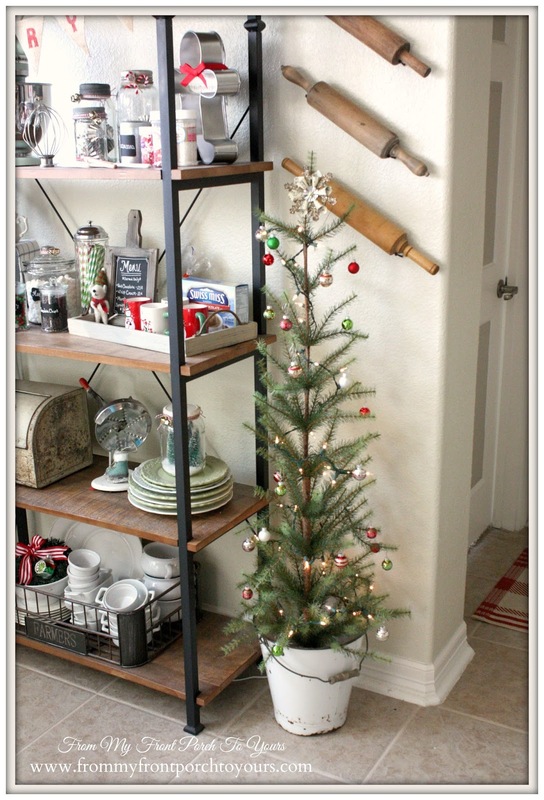 Love your mixer too, and those ceramic trees are a favorite of mine. Love it all!! Awww so beautiful!! 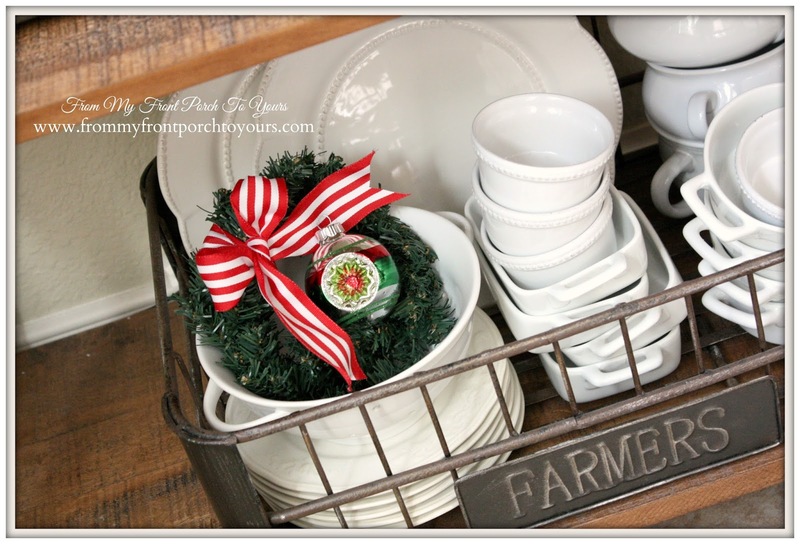 Love your kitchen and the Christmas touches. Happy New Year Pamela! I still have my vintage ceramic tree too and get it out every year. 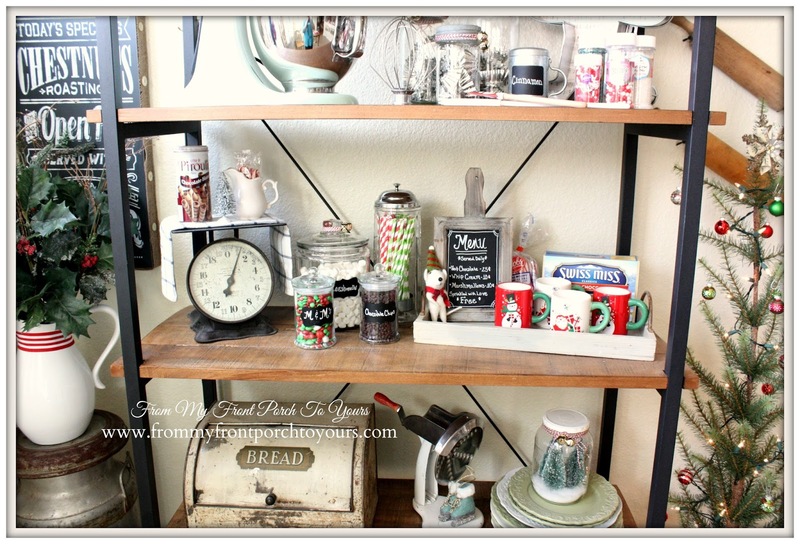 Love your shelving!! 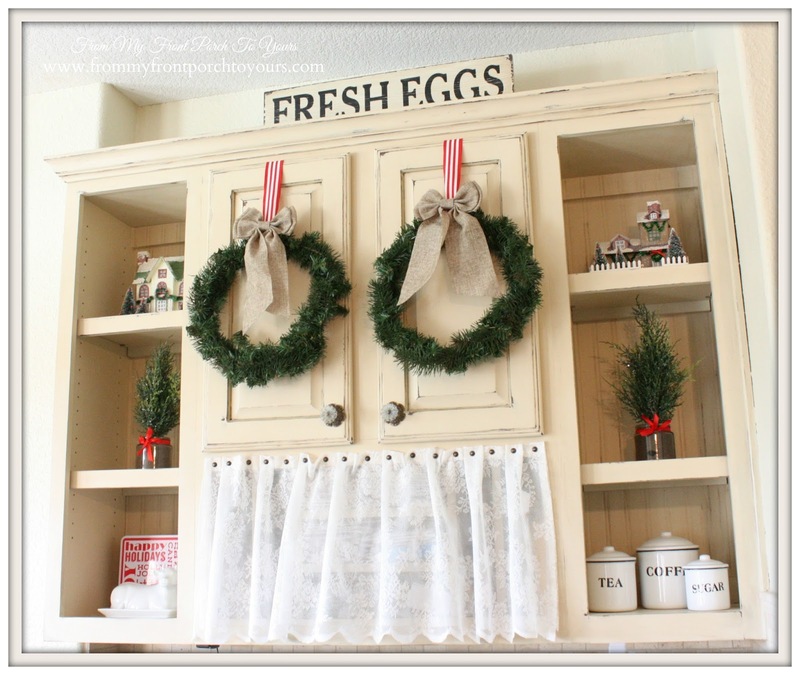 I am so lucky that my Joe made me a hutch for the kitchen to decorate:) My Christmas will stay out for awile, I am hosting 20 people new years day! Then I will THINK about starting to put it all away:):) Happy almost New Year, Pamela!!! 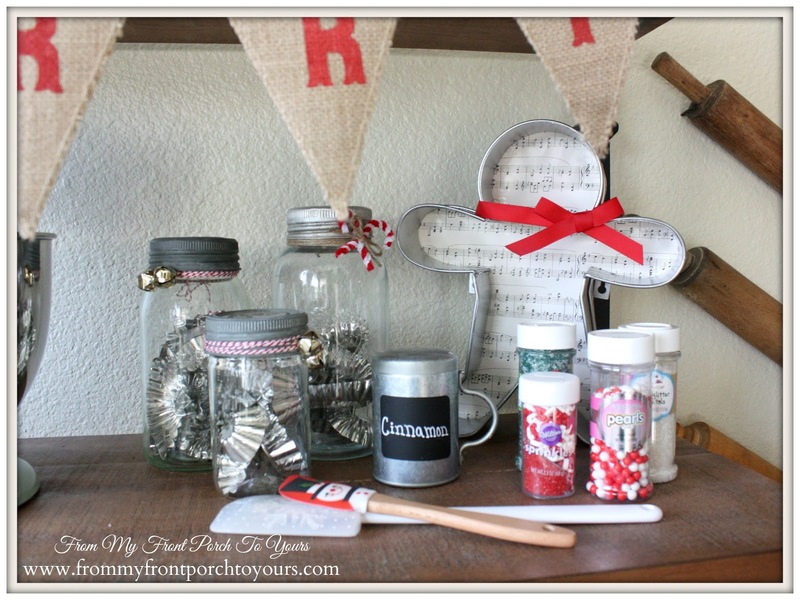 Your Kitchen is just adorable ! Your kitchen is absolutely charming! 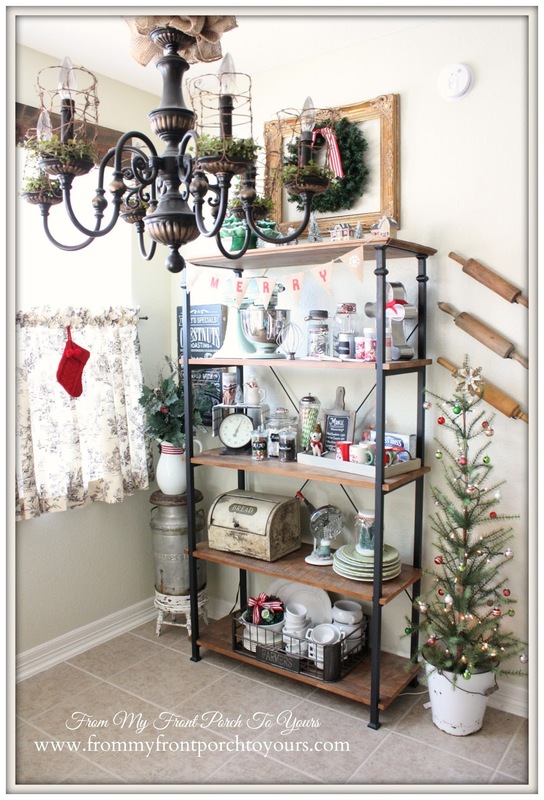 The shelves, or maybe called a Baker's Rack, are such a great way to show your personality! My daughter has the same color Kitchenaid mixer! 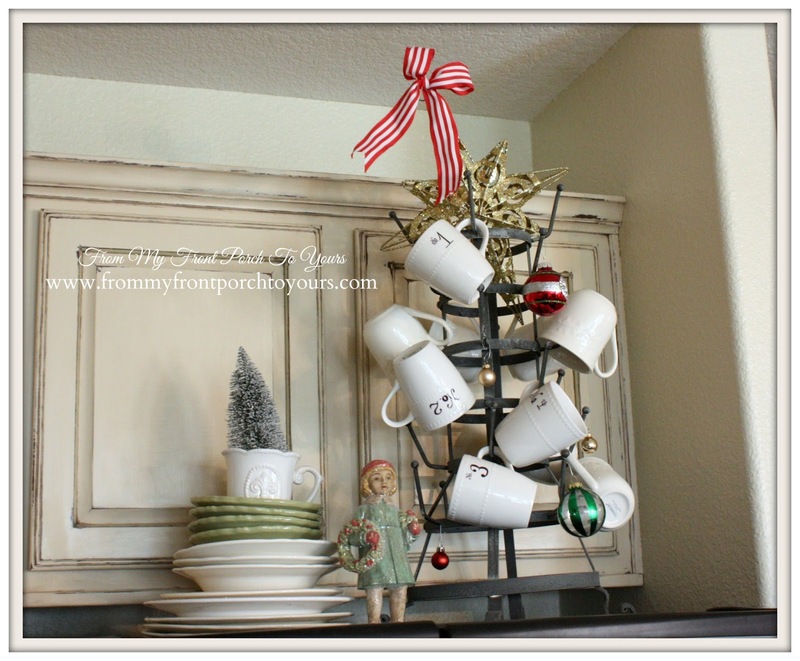 I love your vintage ceramic tree, my mother had one when it wasn't so vintage!! Everything looks so cute, I don't blame you for not wanting to pack up the Christmas things. I haven't either but I'm just lazy! lol! I always love stopping by to see your beautiful kitchen. I have all my stuff in the dining room ready to be put away, not sure what I am waiting for. Happy New Year to you and your sweet family. Thanks for sharing and Happy New Yr!! 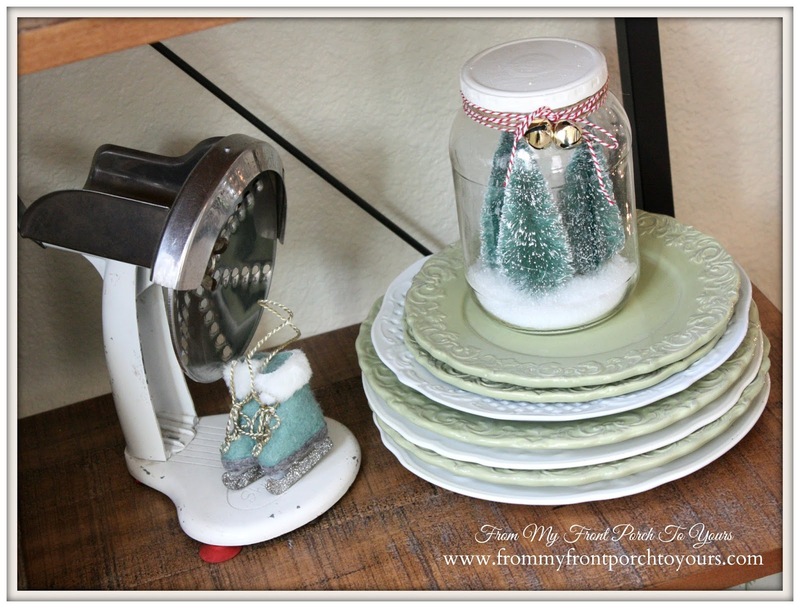 Your kitchen is so very festive! I am taking down our decorations today, but leaving the nativity scene up to remind us of the reason for the season! 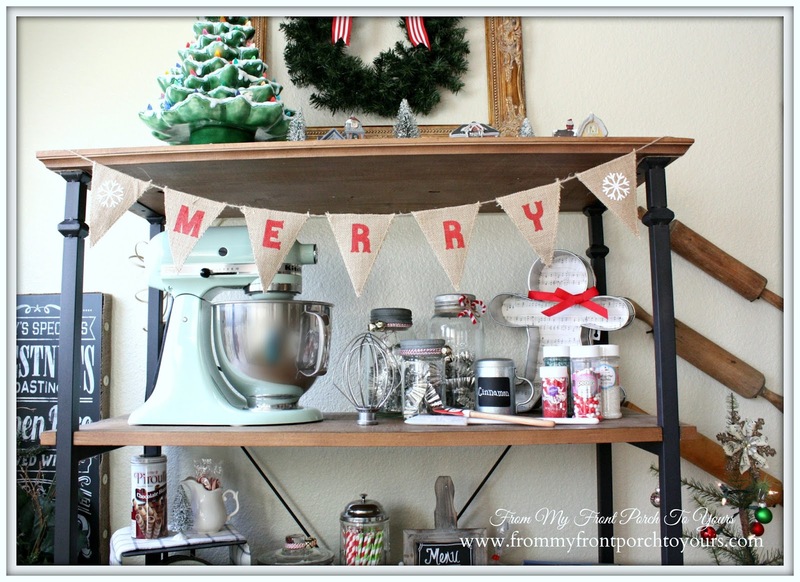 Pamela your Christmas kitchen looks so pretty and festive!! 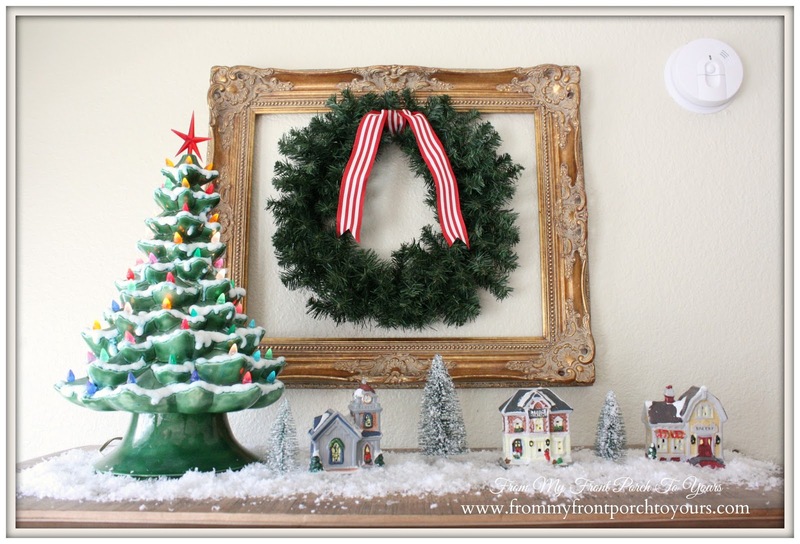 I love the tree in the pail and the way you decorated your mantel over the stove! Your tree looks beautiful! Happy New Year!! 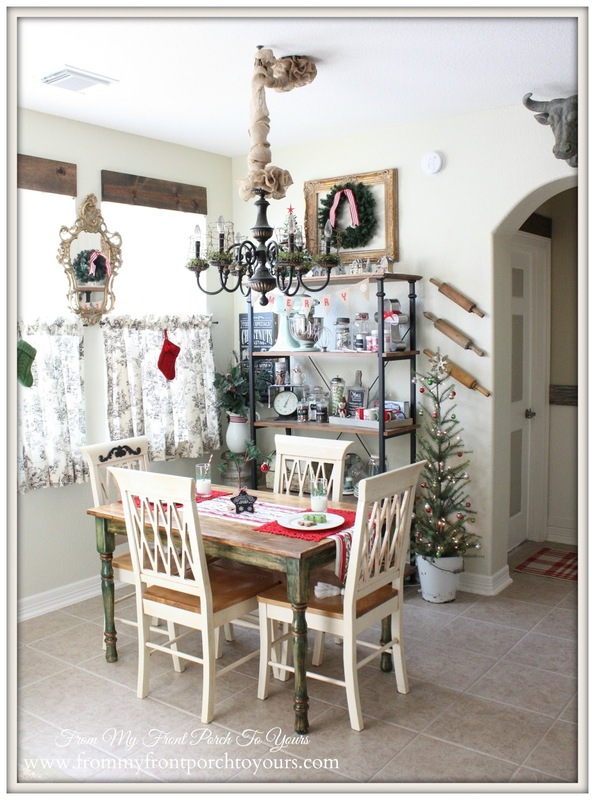 What a beautiful Christmas kitchen, Pamela! It's full of such character ... your vignettes and textures are always fabulous! 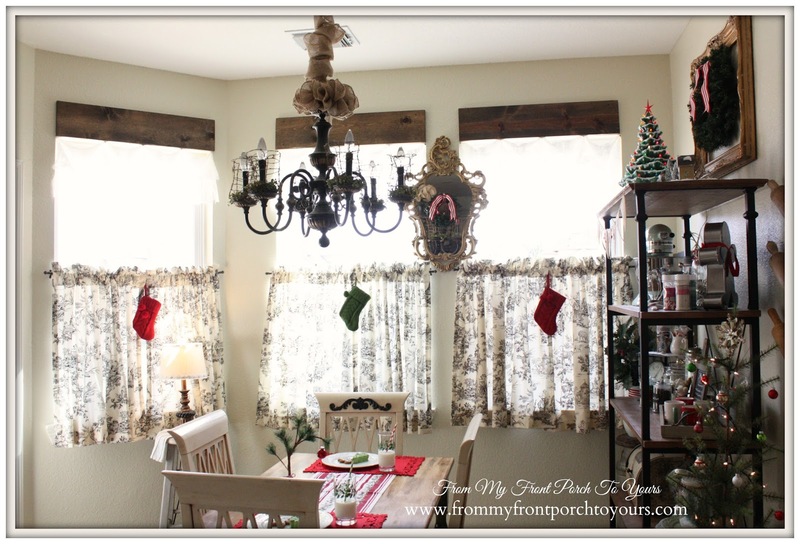 (Love all of your vintage pieces and how your mounted the rolling pins!) Look forward to being inspired by you in the New Year!